At iVape some of us really like our custards. 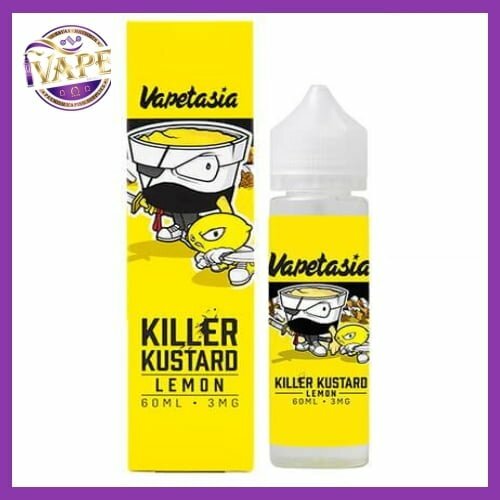 Killer Kustard Lemon eliquid 60mL E-Liquid by Vapetasia is a creamy, custard dessert treat rounded off with subtle hints of vanilla sweetness, and delightful zing when tart lemons are added to the Killer Kustard. It certainly kept the iVape team happy. 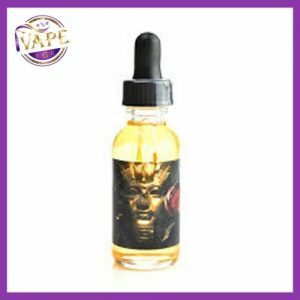 Vapetasia E-Liquid lines are brought to you from Las Vegas, Nevada. 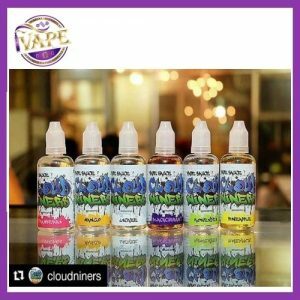 Vapetasia is well-known for being the producer of Vape Parfait and Vape Lemonade along with over a dozen other flavors across a total of 7 different lines. They are well regarded for their stringent manufacturing standards using only the finest ingredients in a sterile controlled environment. Each E-liquid comes in a well-designed flavor-themed box housing sealed 60ml bottles. At Premium Vape Supply we’re pleased to bring you the best of the Vapetasia lines at a value packed price.price. Bottle Size: 60 mL (milliliter). Tried other Killer flavours in 60ml? Eliquid at iVape Ireland. ELiquid offers a range of tastes and strengths to suit any time of the day or season. Whether you are looking for a summery light fruity or a warm cozy earthy eliquid, iVape will have it available. We stock premium top shelf eliquids, organic, pg free, kosher and hand crafted joose. Our Liquid Lounge below is filterable by brand, flavour, strength and Vg/PG composition. Our E-liquids come in various sized bottles, so you can purchase whatever you like and of course as much as you’d like – and remember, we have tasters available in both of our stores, so if you’re unsure then you’re welcome to pop in and try out some flavours! We’re absolutely positive that we have the most unique and in depth flavour selection on the market, we hope you enjoy our vast selection. We stock all the major ELiquid brands such as Suicide Bunny, Halo, Cosmic Fog, Cuttwood, Grand Vapors, Illuminati and so much more. No longer are you tied to a single flavour like traditional cigarettes – with our E-Liquids – the possibilities, textures, and tastes are absolutely endless!